Today we are increasingly connected to those around us and those who live far away. This set of elements was created with those relationships in mind. You will love the fun retro vibe in this set! 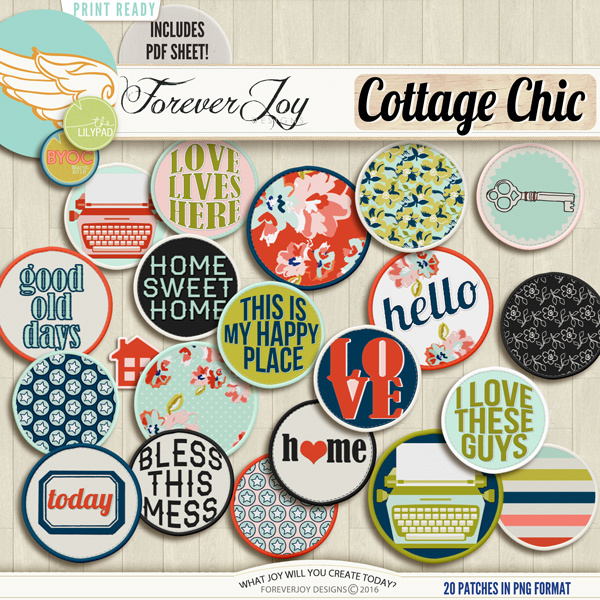 These digital products have been saved as jpeg and png files at 300 dpi. They come with no drop shadows (except as alternative on banner as noted above). 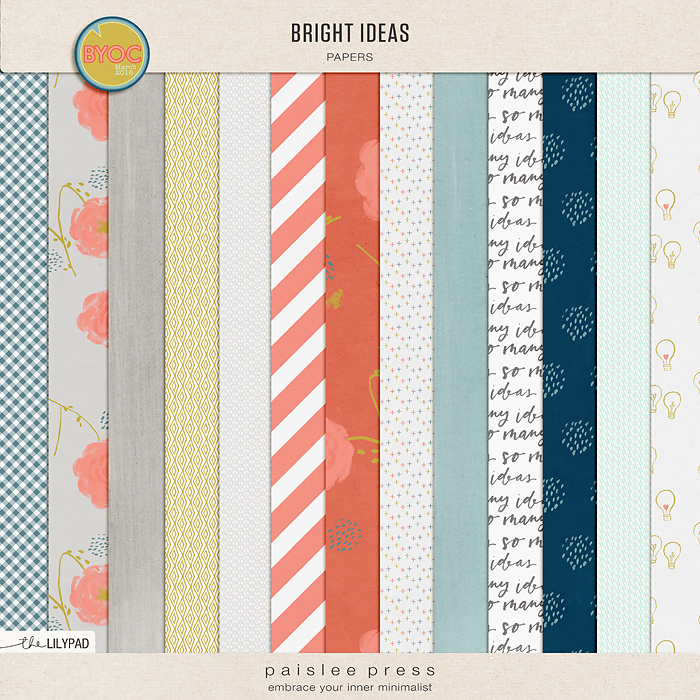 Also available: Daily Delight journal cards - plus Daily Delight papers and Daily Delight elements as separate packs. 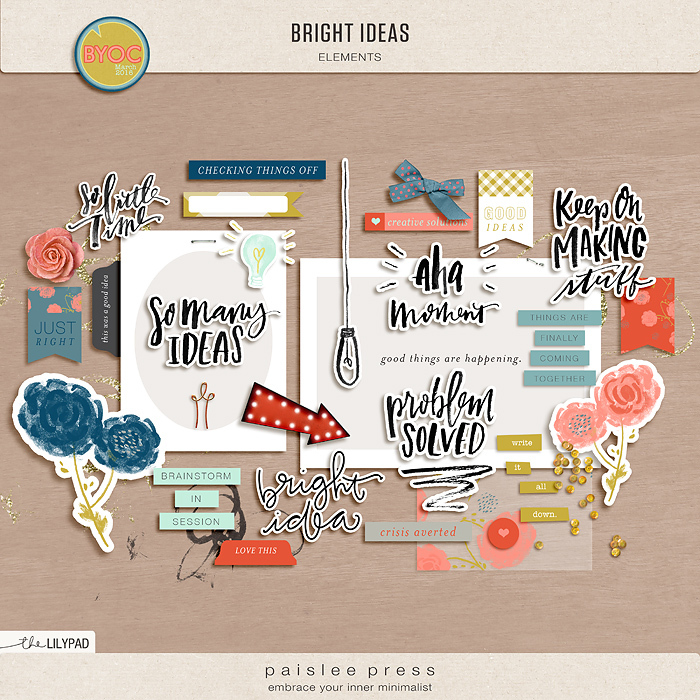 A collection of elements that coordinate with the March 2016 BYOC, my Beautiful Day elements and journal cards. A set of journal cards that coordinate with the March 2016 BYOC, my Beautiful Day elements and journal cards. PDF included. 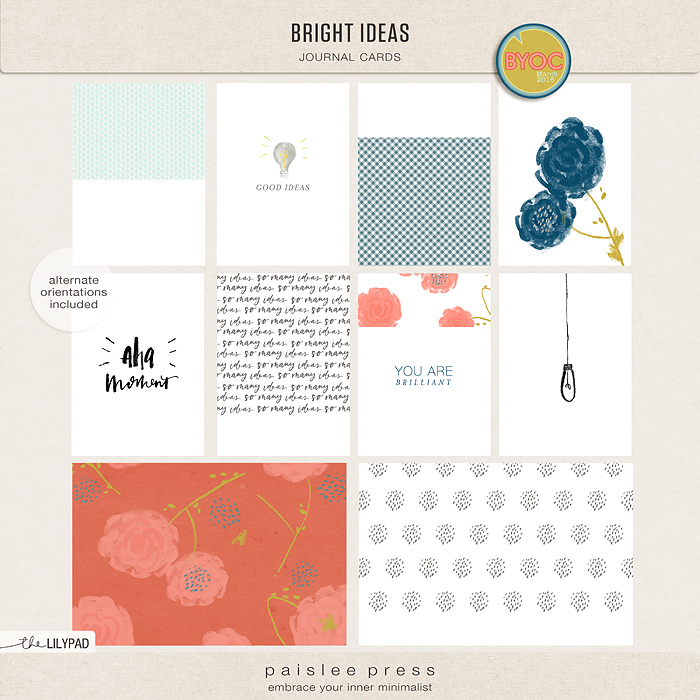 A collection of prints & solid paper that coordinate with the March 2016 BYOC, my Beautiful Day elements and journal cards. 6 little alphas that coordinate with the March 2016 BYOC. a set of 48 elements that coordinate with the March 2016 BYOC. A set of 22 papers that coordinate with the March 2016 BYOC. This set includes a THIRTEEN 12x12 high resolution papers provided as JPG files. 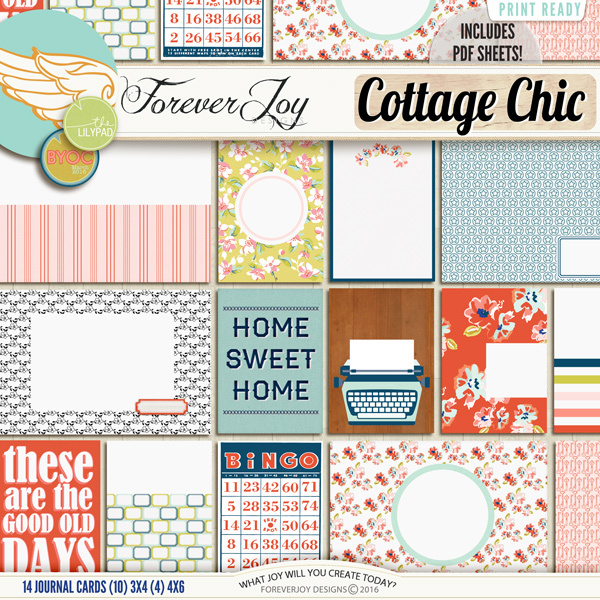 Great for both digital scrapbooking and hybrid projects! These styles come in beautiful colors with effects that hint toward nature.